There are many factors that impact the quality of the dental care you receive. The skill and experience of your dentist plays an important role, as does the quality of materials used to create your dental restorations. Equally important is the technology your dentist uses. 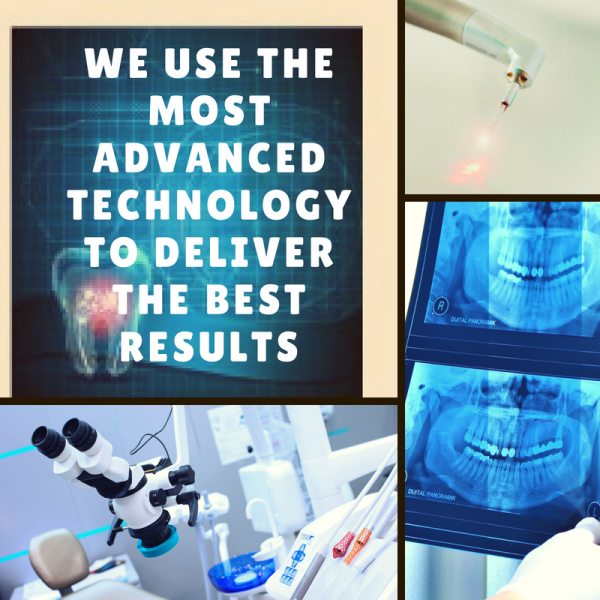 When dental treatments are performed using the latest and most advanced technology, you'll benefit from the highest levels of precision and comfort, ensuring the best possible experience. At Dr. Greenhalgh’s office, we utilize the most advanced dental technology in order to provide an unparalleled patient experience. With your comfort in mind, our rooms are equipped with a DVD player, satellite TV with over 200 channels, and Bose headphones – the gold standard in creating a quiet environment. You can visit our About Us page for more on the comfortable amenities we offer. This page will provide you with a basic overview of the technology used by Dr. Greenhalgh. We can also answer any questions you may have over the phone or during a cosmetic dentistry consultation. Please call 303-988-9060 today to schedule an appointment. We serve patients in Lakewood, Denver and throughout the surrounding areas of Colorado. You may not be used to having your picture taken when you visit the dentist, but when you come to our office, you should expect it. One of the main reasons Dr. Greenhalgh takes detailed photographs of your mouth is that it allows him to magnify the images to see almost microscopic details. 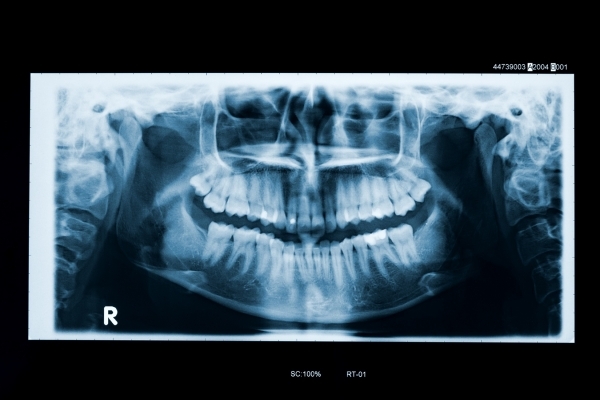 This is true not only of visible pictures, but also of digital dental X-rays, which contain so much detail that they have much more information than traditional X-ray films. This imaging allows Dr. Greenhalgh to assess the condition of your teeth without all the poking and sticking most dentists use to look for cavities. This poking and prodding is unpleasant for you, and Dr. Greenhalgh has found that it is not the best way to assess the condition of teeth. Another benefit of digital photography is that it allows you to see exactly what your dentist sees. In the past, you had to take your dentist's word that there was decay in the tooth. Now Dr. Greenhalgh can call the images of your teeth up on a computer screen right next to your chair, letting you see exactly what he sees. He will explain to you what problems exist, what your treatment options are, and the benefits of each option. This is equally true of your digital X-rays. In the past, it was difficult for patients to see detail on tiny bitewing X-rays, but digital X-rays can be magnified so you can see the same details as Dr. Greenhalgh. The ability to clearly see images of the oral health issues you experience helps you to make more informed decisions about your dental care and to assess the quality of results you achieve. One of the most common questions we hear from patients is, "How will my smile look after the procedure?" Everyone wants to get a sense of what they’ll look like after undergoing their desired cosmetic dentistry treatment. After all, it's natural to want to know that such a significant investment of time and effort will be rewarded with a beautiful result. Nothing in the photo will change except your teeth. This allows you to get a sense of how your new smile will work with your facial appearance. With the Smile-Vision images, you and Dr. Greenhalgh will be able to discuss the best path forward for you. This includes the extent of a smile makeover, the shading on your teeth or the full range of any necessary orthodontic adjustments. In addition to the Smile-Vision system, Dr. Greenhalgh also utilizes Smile Now technology, which provides a 60 second instant porcelain veneer simulation that will let you see what your smile will look like after getting veneers. Medical lasers are made for precision and controllability. Dr. Scott Greenhalgh uses a soft tissue laser which speeds up the work, enhances your comfort, and increases your safety compared to older methods. Our laser technology will help you achieve the best possible results on a variety of dental treatments. At Dr. Greenhalgh’s office, we offer laser gum reshaping as part of our treatment for a "gummy smile," a condition that occurs when you have excess gum tissue which makes your teeth appear uneven or too small. The laser quickly vaporizes unwanted gum tissue and minimizes bleeding at the same time. It precisely removes only a few small cell layers and then seals the area, creating a sterile surface for optimal healing. Removal of unwanted gum tissue reveals more of the tooth tissue, giving your smile more balance and brightness. The laser is often used as part of a smile makeover to sculpt the shape of the gums and create the best possible aesthetic results. The soft tissue laser can selectively vaporize the inflamed tissue common in gum disease, ensuring effective removal of infected tissue without hurting healthy tissue. Dr. Greenhalgh commonly uses laser technology as part of gum disease treatments. In addition, the laser disrupts the bacterial “biofilm,” which makes it easier for your immune system to digest the bacteria in the diseased gums. Conventional methods do not disrupt the biofilm as effectively as the laser treatment. Cold sores are caused by the Herpes virus, which can lie dormant in the nerves around your mouth and lips until something sets it off. Stress and prolonged exposure to sunlight are common causes of an outbreak. Dr. Greenhalgh’s laser is FDA-approved for the treatment of cold sores. In just a few minutes of treatment, the laser will speed the healing and desensitize the sore lesion. You will not feel anything during this treatment. Clinical findings demonstrate that the laser treatment discourages the virus from returning to that same spot. A number of our patients have noticed that they are less prone to cold sores than they were before having the laser treatments. It is possible that the laser therapy could actually stop the lesions entirely over time. Stem cells are generic cells that can divide and form specialized cells. They are the first type of cell a newly-conceived baby possesses, and they stay in the human body throughout life. Stem cells can be obtained from some body tissues and used to promote healing, such as regeneration of skin tissue after a severe burn injury. They can also help in treating some diseases, including diabetes, arthritis, and multiple sclerosis. There are embryonic stem cells and adult stem cells. The controversy we see in news reports concerns embryonic stem cells. But there is no controversy about adult stem cells, and you can obtain your own stem cells from your teeth. Dental stem cells are relatively easy to obtain and have considerable value in the development of new medical therapies. By using your own stem cells for medical treatment, there is little risk of your body rejecting them. There is also less need for accompanying drugs, which might otherwise weaken your immune system. At universities, research centers and hospitals worldwide, scientists are making amazing advancements, allowing families to recover stem cells for future use. As we age, the stem cells gradually lose their regenerative ability. That means that the earlier in life you obtain them, the more powerful they will be later on if you need them for healing. StemSave is a company working to collect and store these stem cells. The company encourages dentists to play a greater role in their patients’ oral and overall health by helping them recover and cryo-preserve stem cells from their own teeth. The stem cells can be obtained from extracted wisdom teeth, from teeth extracted for orthodontic reasons, or from baby teeth. Those from baby teeth have been identified by researchers as the most powerful stem cells in the human body. They replicate more quickly and for a longer time period than stem cells from other tissues in the body. The most accessible stem cells are found in baby canine teeth, incisor teeth, or molars that have not lost their roots. If you have a child whose baby teeth are beginning to loosen, that is the best time to act. Enroll with StemSave -- Dr. Greenhalgh is already enrolled and is familiar with what needs to be done. He can walk you through the enrollment process. Contact Dr. Greenhalgh for an appointment to recover a tooth -- StemSave will send an individualized transportation kit to our office ahead of time. It includes a vial with specific nutrients to keep the tooth intact, and a temperature bag to protect the fragile stem cells during transit. Send the tooth to the lab -- Dr. Greenhalgh will verify that the tooth has healthy tissue and will use the kit to send it to the StemSave laboratory. StemSave will extract the stem cells from the tooth, make sure they are viable, and preserve them with their state-of-the-art cryogenic technology. Then they will notify you and Dr. Greenhalgh that the cells are securely stored and will give you contact information. Please keep it in a safe place, along with the appropriate medical records. You will need it in the future if you want to use the preserved stem cells. You can learn from Dr. Greenhalgh’s own stem cell article about how it works and what the cost is. This newspaper article gives further detail. Dr. Greenhalgh began working with stem cell collection in March 2007. Please contact Dr. Scott Greenhalgh using the form on this page or call 303-988-9060 today to schedule an appointment. We serve patients in Lakewood, Denver and the surrounding areas of Colorado.